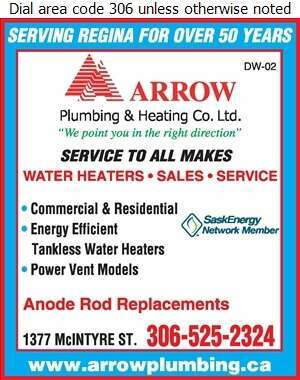 Arrow Plumbing & Heating Co. Ltd. was established in 1971. 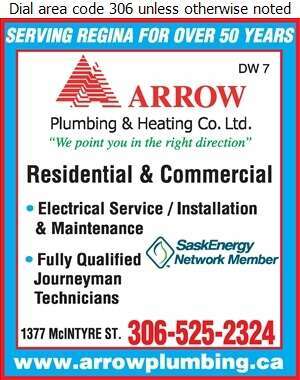 As you have come to know and expect, you can count on Arrow Plumbing & Heating Co. Ltd. to do the job right. 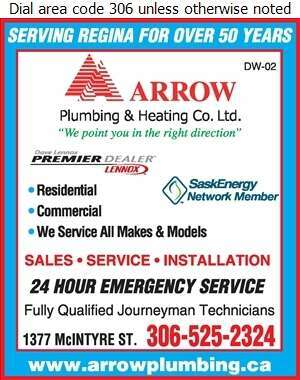 We are dedicated to providing our customers with exceptional service at competitive prices. If you are not completely satisfied with our services, we will come back and do the work again to your satisfaction. 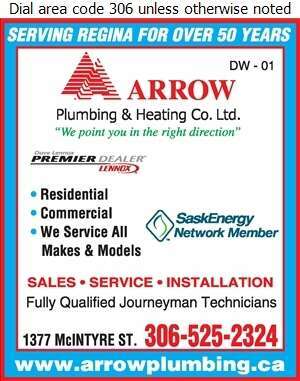 We service all of your plumbing, heating, and air conditioning needs with our 100% Satisfaction Guarantee! Thanks to our 24-hour emergency service you can count on us to be there when you need us the most. Great Service!! My furnace stopped in the middle of the night. I called first thing when they opened at 8am. They had a service person to my door by 8:30am. He was professional, done in an hour and the price was reasonable.